Is Intellectual Property Considered Personal Property in Arkansas? Understanding the difference between intellectual and personal property in Arkansas is important if you seek to protect your property rights. There are different legal solutions for when another person causes harm to your intellectual or personal property. Additionally, there may be different forms of compensation awarded for harm to intellectual or personal property. If you or a family member’s property rights were violated, you should consult with an experienced Fayetteville intellectual property lawyer. The lawyers at Gunn Kieklak Dennis, LLP understand the desire to protect your intellectual property from infringers, and we will work with you to keep your intellectual property safe. Gunn Kieklak Dennis, LLP explains whether intellectual property is considered personal property in Arkansas. The State of Arkansas defines personal property as “every tangible thing being the subject of ownership, and not forming a part of any real property.” This means that personal property in Arkansas can include several things like a vehicle, cash, jewelry, clothing, or furniture. The purpose of copyright is to protect an original work of authorship. Examples of original works include a painting, literary work, or a sound recording. A copyright is created once an original work is transferred into some tangible form that can be observed or heard. A trademark is a word, symbol, or slogan that identifies the source of goods or services. The purpose of a trademark is to notify the public about who they are receiving services or purchasing products from. A patent gives an inventor property rights in their invention. There are three types of patents: utility patents, design patents, and plant patents. Each category of patent protects a different type of invention. A trade secret is a formula, creation process, or privileged business tactic that a company wants to keep private. An example of a trade secret would be a client list for a prestigious law firm or a secret recipe. There are different processes and remedies for filing suit over tangible personal property and intellectual property. Intellectual property claims typically involves complex commercial litigation. Legally speaking, tangible personal property is protected differently than intellectual property. For example, once you purchase a piece of personal property or receive it as a gift, someone else cannot steal or damage your property without facing liability or criminal charges. Alternatively, each type of IP has certain protections available for its creators. A patent holder must file for patent protection within 12 months of distributing their invention if they want their invention to be protected. This protection includes the right to prevent another person from duplicating their invention. This differs from personal property rights, which attach as soon as you legally possess the personal property. Additionally, there are different time limits for filing an intellectual property case as compared to a traditional property case. The statute of limitations sets the amount of time a party has to file their case. The statute of limitations for an injury to personal property claim is three years from the date of the incident, but the statute of limitations for an intellectual property infringement case is five years from the date of infringement. It is important to file your lawsuit early because the once the statute of limitation’s deadline has passed, your claim could be barred. However, there are ways to delay the deadline for your case. The compensation available for property damages is usually the fair market value of the item before it was damaged. In some cases, a defendant may be ordered to pay to repair the property, instead. A common example of this is the damage to a car in a car accident. Also, some forms of personal property can be insured so the owner can receive compensation if the property is damaged or destroyed without filing a lawsuit. When you sue for intellectual property infringement, you can similarly recover monetary damages. For example, if someone made money off your copyrighted material or by using your trademark, you can recover the profits they wrongly received. Another form of damages available in intellectual property claims is an injunction. An injunction is an order to begin or cease doing a certain action. For example, if a person stole your trademark and used it for their products, the court may issue an injunction to immediately stop them from using the trademark. Additionally, after prevailing in the case, an IP creator can force an infringer to destroy all the IP they stole. To know more about the differences between personal and intellectual property, you should speak with an experienced IP attorney. If you or a family member needs help to file for intellectual property protections, you should speak with an experienced Fayetteville civil litigation attorney. 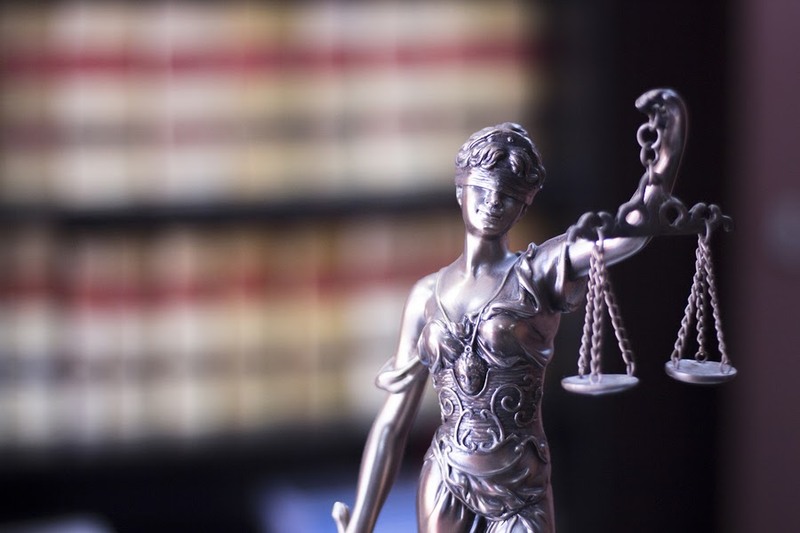 The attorneys at Gunn Kieklak Dennis, LLP diligently represent clients in Fayetteville and across Arkansas and would be proud to represent you. To schedule your confidential consultation, call us at (479) 439-9840 or reach us online.